For this week’s Witchy Wednesday I've decided to focus on one of the most popular tools in the witch’s possession. The altar can take on many forms. From an outside space to be joined with nature to an inside private area to complete chants, the altar can be as complex or as simple as desired. I’ll start by dissecting my own altar. I am Hecatean, which means I am a follower of Hecate (Hekate). I do not have a consort or a male deity that I set alongside of her. She is my only deity. 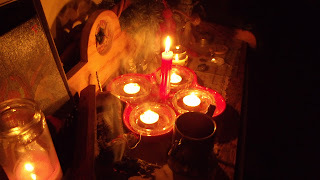 Above is my altar to Hecate. I have a red candle plate that holds round dishes that my tea light candles go on. These are for the directions. When I call the quarters I light each tea light starting in the North and circling around to the West. In the center is a large red taper. 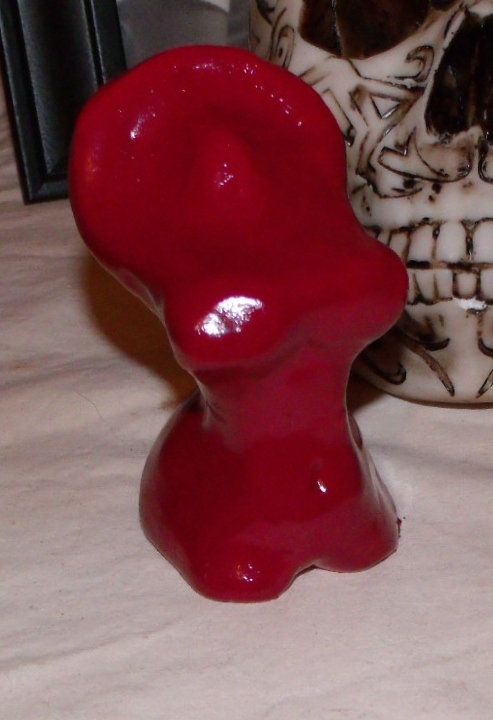 This is my candle for Hecate. To the left is a painting of the Goddess and incense burners which hold my sage are here as well. To the bottom right of the photo is my chalice. This is to represent again the feminine on an altar. Many accompany this with a wand or a dagger/Athame. I do not have either of these on my altar but I do have a large wooden walking stick that sits on the back behind the triple Goddess emblem. I'm still searching for the correct dagger for my altar. 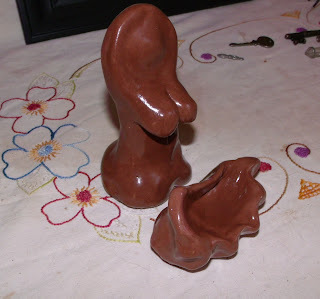 This is the only “phallic” type object that I keep. To the top right there is a small tin of salt, a wooden pentacle and a ceremonial broom that I made to help “sweep” the negativity out. 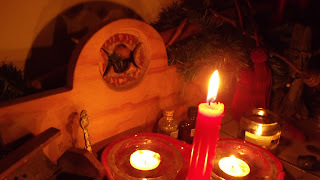 This next photo shows a close-up of the red candle and the Triple Goddess symbol that is carved into the back of the wooden Altar. I have a bell in the rear for air and to the right there is a small bottle of water and some dirt. Just next to the red candle dish is a small green candle that I've added for prosperity. To the back right is my hand fasting cord. Hubby and I plan to renew our dedication to each other on Samhain, our ten year anniversary using this cord. It’s been on my altar for a month now collecting energy. Most altars will have representation of the particular Deity. 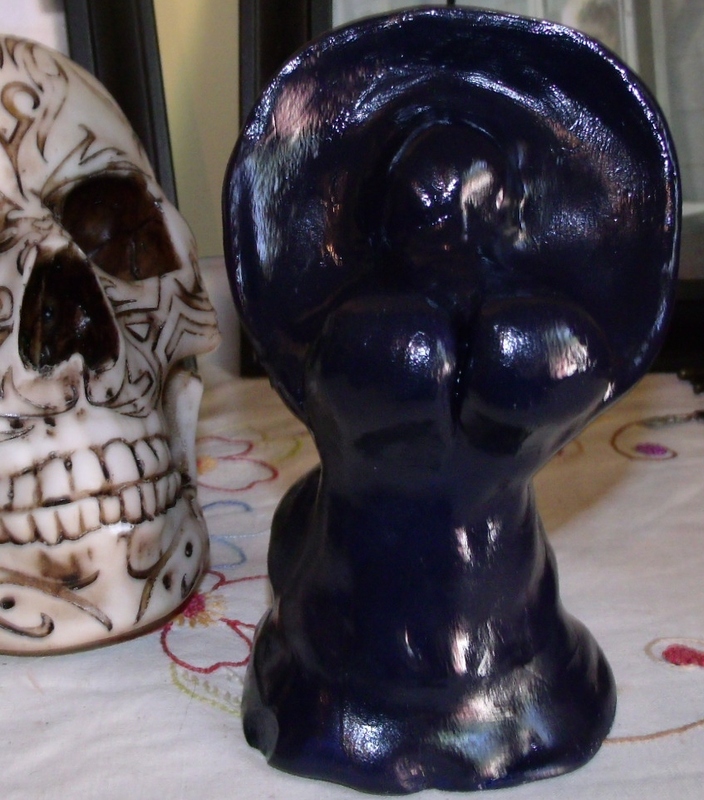 I have several of Hecate on my altar. I've the painting above of the Goddess in Red. I have a key, a piece of Lapis Lazuli as well as a small red bag that contains the cord I used in the “Rite of the Red Cord”. 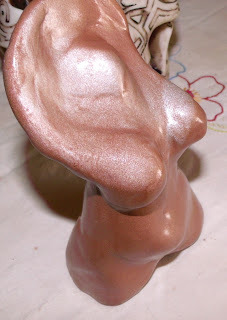 The representation can be something as simple as a small stone or a candle or as complex as a huge statue. Many believe that making the object yourself adds more power to it, however I believe that if this is something that speaks to the individual, which gives it a power of its own. Selecting an image for your deity is a completely personal decision and can take years to complete. 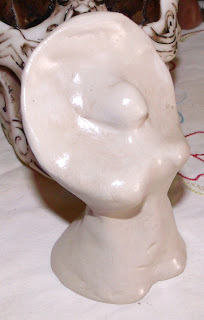 Here are a few examples of some of the Goddess representations I've created. 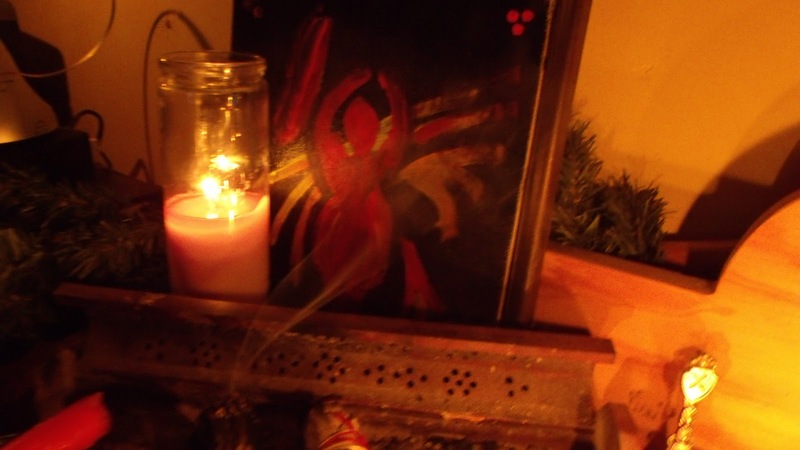 Creating your sacred space to work with the deity of your choice is a very personal process. Each item can take years to find its way to you. You will know when you find it. When I’m working with my altar I use a playlist on Youtube to help me get in the Witchy state of mind. Recently I found a new chant called “The Charge of the Goddess”. I’ll leave you with that now.